Rated #1 by construction and industrial users, year after year. 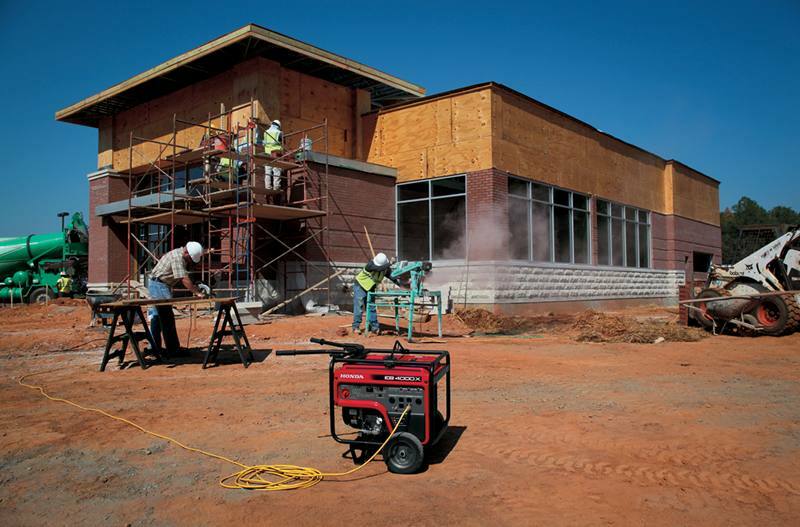 : An independent survey of construction and industrial users has rated Honda the #1 generator 7 years in a row. Why? Our legendary reputation for performance, durability, and reliability. Consistent power with iAVR (Intelligent Automatic Voltage Regulation) technology: Honda's exclusive iAVR technology ensures a consistent flow of power regardless of the load. No need to worry about power fluctuations ruining your valuable tools. 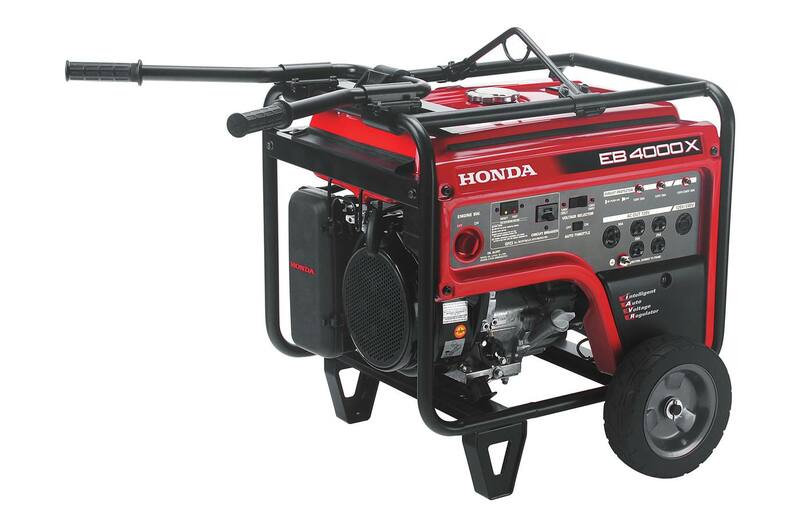 Provides 5,000 watts for 10 secs to start larger equipment: Honda exclusive iAVR technology lets the generator operate well above its maximum rating for up to 10 seconds to start high initial amp draw equipment. Powerful Honda iGX commercial engine: Honda’s innovative iGX series engines deliver exactly what you’ve always wanted: reliable, optimal performance. This new generation of intelligent computer-controlled engines operate automatically with much better, simpler, and faster controls. 3 year commercial/residential warranty: You can rest easy, knowing your generator is covered from top to bottom for 3 full years. All circuits GFCI protected: The EB4000 is OSHA compliant with neutral bond and full generator GFCI (Ground fault circuit protection) on all outlets. iAVR Output: 5000W (41.7/20.8A) for 10 sec. Dimensions (L x W x H): 41.9 in. x 27.2 in. x 29.2 in.